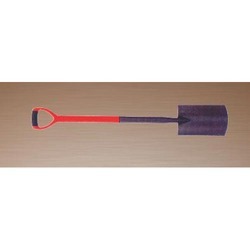 Digging Spade with Plastic Handle . Easy for Handling and Carrying . Hardened and Tempered used in gardening . Digging Spade Wooden Handel Soft Grip. 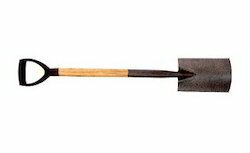 Being a prominent firm in this domain, we are engaged in offering a distinguished assortment of Digging Trowel. Features:Sharp edges Robustness Perfect strength. Our organization is offering JCB Digging Tools to our clients. These are made from very high quality raw material which ensures high durability at its user end. These tools are in high demand in the market. Our range of digging forks is acclaimed for its durability, quality and efficient performance. Due to the support of hardworking team, we offer an exceptionally range of Digging Spade.